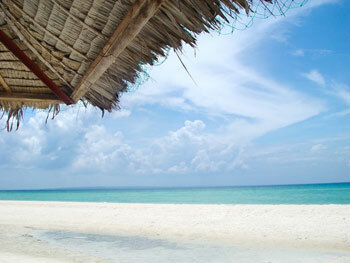 Finally decided that you would want to travel to the Philippines? If you have it is best to take these traveling tips with you to make your experience have fewer hassles. Remembering these tips will greatly improve your chances of enjoying the Philippines. Filipinos are somewhat sensitive. They would appreciate it if you were polite and soft during your conversations. Also avoid criticizing them in public because just like in any culture, self-esteem is valued. Filipinos love talking about their families. The Philippineâ€™s climate is quite hot and humid. Be prepared tow era clothes that are geared for the summer. You would look pretty stupid and charred to dress too hot for a very hot day; unless of course you really want to perspire to lose weight. Buses â€“ if you want to have a ride that is like in the movie â€œSpeed 1â€, try riding the Philippine Buses. The drivers are a bit risky. The regular and air-conditioned buses travel in all major routes in Metro Manila, except Roxas Boulevard. The fare for air-conditioned buses is P10.00 and will have an additional P2 for every kilometer. A regular bus rate on the other hand is P9 and has additional P1 for very kilometer. Tell the conductor where you will be going and the conductor will tell you how much to pay. Keep the receipt because it is your proof that you have paid. Jeepneys â€“the Jeepneys are the transportation to use for secondary roads and some travel the major roads as well. A tourist should try to ride this because itâ€™s considered to be the Philippines National vehicle. The fee is P4.00 for a minimum of 4 kilometers. You would then need to pay 50 cents for the succeeding 500 meters. When you are ready to go down just shout â€œPa-raâ€ and lift off. LRT â€“ it is a fast and cheap way of transportation. Aside from the LRT there is also an MRT station that has the same concept. They are a pretty good ride; they only have lots of people especially on rush hours. Taxis â€“ you would have to pay the basic P25 flag down rate and P2 for every 200 meters. Taxis can be found almost anywhere and you can even ask the hotel to get you a cab. Be sure that the meter is turned on when you ride a cab. There are lots of taxi drivers out to fool foreigners so be aware. Try to give a 10% tip for the drivers. Philippines Vacation will keep bringing you more great vacationing tips so make sure you bookmark our site!